I was all set to read something by Dubravka Ugresic for my Croatian book when a Serbian colleague who reads a lot of literature from the region burst my bubble – surely I could find something more interesting from Croatia, she said. Never one to turn down a challenge (how do you think I ended up trying to read a book from every country in the world in a year in the first place? ), I decided to give it a shot. But given that Dubravka Ugresic was the frontrunner in the recommendations I’d had so far, I was going to need some help. My first port of call was the British-Croatian Society. In response to my appeal for books I could read in translation, their secretary put me in touch with Susan Curtis-Kojakovic, director of Istros Books, a company set up in 2010 to publish literature from South-east Europe in English. I was in luck: they had published a Croatian novel only that week. Our Man in Iraq by Robert Perišić is the story of a Croatian journalist, Toni, who faces the sack when the ill-qualified reporter he has sent to cover the war in Iraq for his newspaper becomes increasingly erratic before disappearing altogether. Obliged to fabricate his colleague’s articles, all the while struggling to hold together his increasingly fragile relationship with his actress girlfriend, Toni begins to draw on his memories of Croatia’s own conflict, unaware of the ridiculous lengths he will have to go to try to save his career. The Graham Greene reference in the title (it would be interesting to know whether this was in the original or added for the benefit of English readers) is more fitted to the novel’s witty tone than its content. Unlike in Our Man in Havana, our hero is not the bewildered novice parachuted into a remote corner of the world and forced to make the best of it, but the bungler who sent him. Given the gravity of the situation in Iraq, this reversal, which keeps the war-zone correspondent a shadowy, mysterious figure for whom we can’t feel too anxious, is probably necessary for the comedy to work. 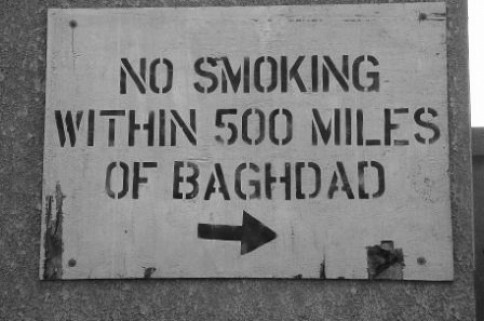 Still, it’s striking to see a comic novel set, partly – albeit indirectly – in Iraq. Perišić’s wit is complemented by his insight into the dynamics of human relationships. This comes across most strongly in his descriptions of the ebb and flow of Toni’s interactions with his live-in girlfriend Sanja. ‘Part of our love (and understanding) thrived on nonsense,’ explains Toni, going on to portray the fluctuations in their daily conversations with just the right mixture of perceptiveness, self-deprecation and bathos – a tone which also enables him to launch into passages of detailed commentary about the personal and social affects of the Croatian War of Independence without losing the reader. There are one or two problems with the text. In particular, though funny when Toni’s terrible impression of an English TV chef is transliterated in all its auricular weirdness, the editorial decision to represent regional accents or dialects with regional English accents is very disconcerting. We find Toni’s mother talking in uneven Scots, while a man from his home village sounds as though he might be more at home strolling through the East End. These jar, however, because the novel is, for the most part, so well done. It is a thoroughly enjoyable and thought-provoking story, which, while recalling some of the comic greats that have gone before, add its own brave, quirky and refreshing perspective to the tradition. An unexpected delight. I’d like to read more.